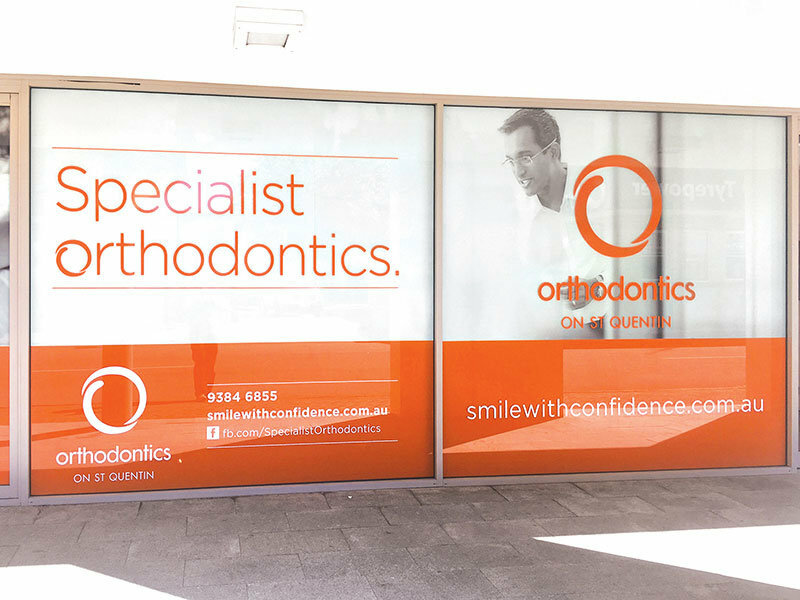 Orthodontics on St Quentin, located at a busy intersection in Claremont, experiences both high foot and vehicle traffic past the practice. We worked with the teams at Quantum Print Management and Braincells to maximise this marketing opportunity by providing new shopfront window graphics. We removed the existing tired graphics and provided a measure-up. We complimented the nice duo-tone artwork with bright vinyl graphics to make the windows pop. We provided test print samples and preliminary installs to ensure the correct colour result. 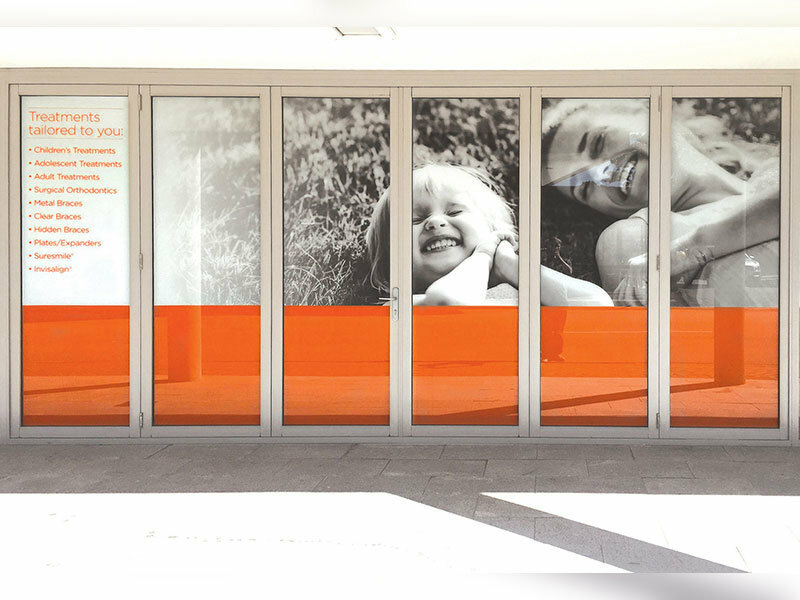 Our clients are impressed with the quality of the vinyls and install, particularly the brilliant orange, all which has created eye-catching shopfront window graphics.